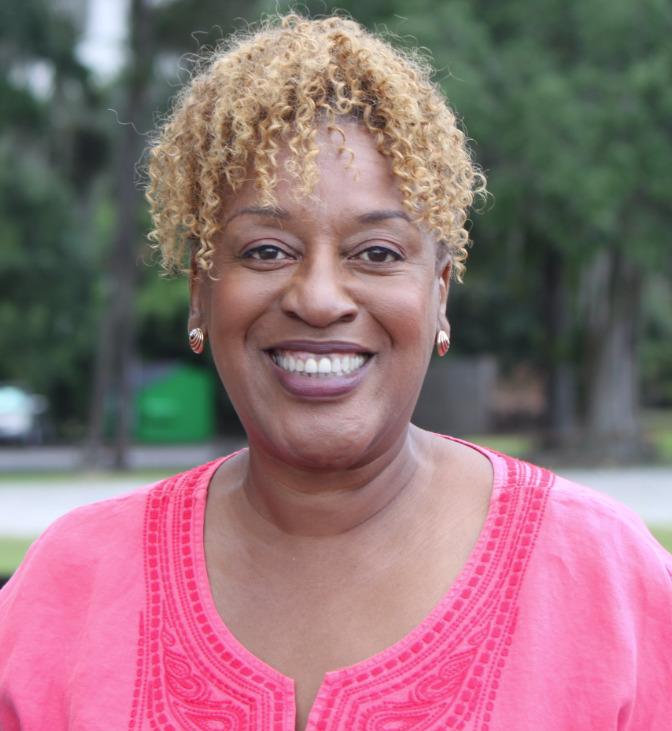 Veteran actress CCH Pounder has starred or co-starred in practically every great American TV series since the 1980s, including “Cagney and Lacey,” “Hill Street Blues,” “Miami Vice,” “The X-Files,” “E.R.” “Sons of Anarchy” and many more. Not to mention the fact that she’s starred on the big screen in feature films like “Avatar,” “The Mortal Instruments: City of Bones” and “End of Days,” to name a few. Next up for this talented and versatile actress is playing Dr. Loretta Wade on “NCIS: New Orleans,” which has its series premiere tonight at 9/8c on CBS. The show also brings her back to co-starring with former “Quantum Leap” star Scott Bakula, who stars in the new “NCIS” spinoff. CCH Pounder: Oh, we were babies back then! How fabulous. It was ironic that we remembered each other so very well over the years, so it’s really great. CCH: We’ve got a very sweet time slot. Quite honestly, if it fails you’d probably just have to go in the bathroom and shoot yourself. Everybody loves “NCIS.” People want to see more of it. Ignoring all of that, the point is that you get to be an actor, and you are reading scripts all the time, and hopefully your talent will find the sweet spot for it. I’m working on my third episode, and so far I’m feeling pretty damn confident. CE: One of the things that works so well for the original “NCIS” is the chemistry between everyone. How’s your cast coming together so far? CCH: My and Scott’s chemistry from working together has fallen into place very, very quickly. And I am really tickled with Rob Kerkovich, who just joined the cast. He’s very funny; he’s like a big geek god for everybody. We’ve had really good chemistry as well — those are basically the two main people who I work with. CE: Tell me about filming on location in the Big Easy. CCH: I think it’s becoming sort of like the next big place to film, besides Toronto. I saw at least five or six other location guides scouting areas. Are we all playing up in the swamp this year? CE: I haven’t visited New Orleans since before Hurricane Katrina. How is the city coming along? CCH: Where I am is a slightly touristy area, so everything is exceedingly optimistic. There is construction everywhere; it’s like Beijing. They are building like crazy; they are knocking down like crazy; they are repurposing. I am in the Art District, and every warehouse is being turned into living spaces — it’s just surreal. There are areas where you still see the houses with the quadrants and the marks on them. There are places where the houses have giant holes in the roof, and they are abandoned. And there are also neighborhoods where people just didn’t come back. There might be two or three people living on that block. CE: While the show does follow the “NCIS” format, it is indeed its own show, with a different feel and attitude compared with its predecessor. CCH: Yes, absolutely. First of all, the place has its own character. It is a different kind of temperature, certainly, and atmosphere, absolutely, but also the pace of it is not as uptight as it would be in, say, Washington. It covers a wide swath of the Southern Belt, from New Orleans all the way up to Alabama. It deals with Navy Criminal Investigation — the framework is the same — but the people and the contents and the pacing are quite different. CE: Tell me about your character, Dr. Wade. CCH: Originally, the medical examiner was described as a British, intellectual, well-read personality, but I really wanted to go completely the opposite and be a much more emotional personality, one who has a lot of concern about the families of the deceased. And I really tried to make her kind of a sassy gal. Also, I wanted her brightness to be intuitive. She’s got the medical chops, but I didn’t want her to give medical legalese to the people who are not in that profession. She speaks to them in a plain and simple way about what happened. When speaking with other medical people, then she can be versatile within her medical language. I think we found a really nice balance. CE: What about character/actor crossovers from “NCIS” to “NCIS: New Orleans”? CCH: Everyone wants to come to New Orleans. Joe Spano was here last week; Meredith Eaton was here; Michael Weatherly is here now. So the food and the laissez les bons temps rouler (“let the good times roll”) attitude have enticed a lot of them to come on down. CE: Last time we spoke, there was talk of an “Avatar” sequel. Is that still in the works? CCH: Every time I begin to doubt, thinking, “Oh gosh, I guess it’s not happening,” they call and check in with: “Hey, how you doing? How’s your availability?” Well, it’s here. So, I guess whatever time is needed to finish writing or whatever preproduction is needed — whatever the new machinery is, the new cameras, the new technology. The technology was racing so quickly when we were doing the first “Avatar” that by now I am pretty sure that they have come up with a whole other set of things to be worked out. So, I will say that it is somewhere on the back burner. CE: And knowing how brilliant the first one was, I’d venture to guess it’ll be worth the wait. CCH: Oh yes, it’s always worth the wait. It really doesn’t matter how you look, as long as you still have the acting voice, because the Avatar will do the visual part for you.